Publication of the first part of The Rights of Man, by Thomas Paine. Paine argues that people have inherent rights which no government may infringe or take away, and that governments that abuse or fail to safeguard those rights are illegitimate and may be overthrown by revolution. 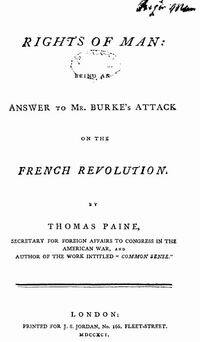 On this basis, Paine defends the French Revolution against Edmund Burke’s attacks. The Rights of Man is widely circulated and discussed in inns and coffeehouses, and repeatedly reprinted. In England, Paine is put on trail in absentia, convicted of seditious libel, and sentenced to death. However, Paine is in France, and, being a clever fellow, refrains from returning to England to be hanged. 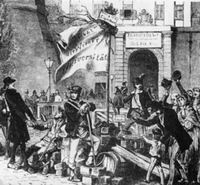 Large demonstrations in Vienna, Austria, force the conservative Prince von Metternich to resign as chief minister. He flees to London and a new, more liberal government takes office. In Europe's 1848 "Springtime of Peoples," revolutionary ferment continues throughout the Austrian Empire; freedom of the press and freedom of association are introduced, and competing claims to national self-determination emerge. 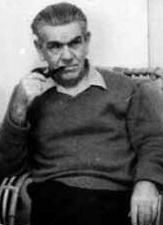 Birth of Paul Mattick (1904-1981), Marxist writer and activist. The Kapp-Lüttwitz Putsch. Right-wing militarists, supported by many of the senior commanders in the armed forces, attempt to overthrow Germany’s social-democratic government. Freikorps (right-wing militia) troops occupy Berlin, and Wolfgang Kapp is proclaimed as Chancellor. Workers resist the coup by going out on a general strike, and civil servants refuse to cooperate with the illegitimate regime. 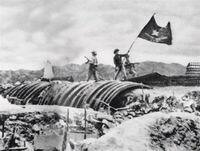 The coup collapses after four days, and its deflated leaders quickly flee the country. 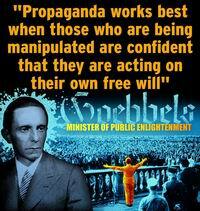 Establishment of the Ministry of Popular Enlightenment and Propaganda under Josef Goebbels in Nazi Germany. Clouds of nerve gas drift outside the U.S. Army’s chemical warfare facility in Utah, killing thousands of sheep in a nearby valley.